This is the first of a two-part series on Lynn Conway, one of the preeminent women in high tech today. This week, Wired Women tells Conway�s life story, an extraordinary saga by any standard. Next week, the column will present Conway�s take on gender in the high-tech workplace. It�s as complicated as life gets, but Lynn Conway is an engineer and thinks like one. When it�s all said and done, she says, the litmus test is simple: does it work? Let me be the one to tell you: It does. Against all odds, the bridge stands. It�s a work in progress, this bridge she�s building. But half-done, it�s already a monument to the invincibility and optimism of the human spirit. For Lynn Conway � an attractive middle-aged woman recently retired from an illustrious career in engineering and academia, a technology pioneer whose contributions helped reshape the ways computers are conceptualized and designed � lived until two years ago with a secret she was too terrified to share. Lynn Conway was born a boy. The first son of middle-class parents in Mount Vernon, N.Y., Conway was born Robert Sanders (a pseudonym she has adopted to protect her family). His parents, a schoolteacher and a chemical engineer, noticed signs early on that Robert was not a normal male child � signs they worked hard to punish and suppress. Transsexualism was more than a taboo subject in the 1940s; it was unheard of, unthinkable. Robert�s childhood was marred by his growing recognition that something was terribly wrong. At 17, he enrolled at MIT, where he first began to present as a girl, injecting estrogen to achieve the physical changes he longed for. It was the beginning of a decadelong roller coaster ride, a life trajectory that reflected Robert�s efforts � and inability � to play the role biology had assigned him. He dropped out of MIT, worked menial jobs, and then earned bachelor�s and master�s degrees in electrical engineering at Columbia. During those years, he married a young woman who knew nothing of his internal anguish, and by 1966, he was the father of two daughters. Robert�s exceptional performance at Columbia brought a job offer at IBM, where he helped to pioneer supercomputing technologies that would become the foundation for today�s computing revolution. But his professional success didn�t assuage Robert�s personal conflict. Nearly suicidal by 1967, he contacted Dr. Harry Benjamin, an expert on transsexualism. By 1968, Robert was preparing for surgery. It was a decision that cost him his friends, his relatives, his job at IBM, his family � in short, the only life he knew. But, says Conway, there was no choice: �I wouldn�t have survived another two years in the life I was living,� she says. By 1971, Lynn Conway had a new life. 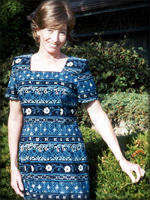 She was working in computer architecture at Memorex, where her contributions drew the attention of engineers at Xerox. In 1973, they recruited her to work at the company�s new research center at Xerox PARC. Despite her successes, Conway never considered disclosing her past. �I was totally in stealth mode,� she says. She worked briefly for the Defense Department, and then accepted a position at the University of Michigan as a professor of electrical engineering and computer science, and later, as Associate Dean of Engineering. While there, she met Charlie, who has been her mate for the past 13 years. And she continued to build what has been, by any standard, an extraordinary career. Two years ago, it became more extraordinary still. A researcher tracking down the secret history of IBM�s �Project Y� posted a message to a computing bulletin board. Nobody at the company seemed to know what had happened to a project that had paved the way for supercomputing. Did anybody know anything about it? Conway did. And after decades of silence, she decided to step up and share what she knew � and to take credit for the incredible work she had done while living as Robert Sanders. She had reconciled with her daughters, had been living happily as a woman for more than 30 years. It was time to reclaim at least part of her past. Part II will appear Wednesday, December 13. A teacher and a journalist, Dianne Lynch is the author of Virtual Ethics. Wired Women appears on alternate Wednesdays.